The latest addition to the ranks of wheels credibly claiming to be fastest in the world comes from one of the longest-established wheel manufacturers around. 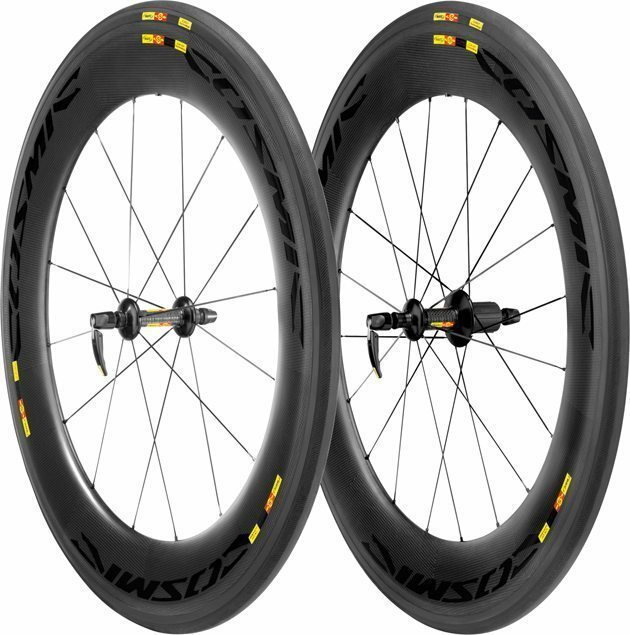 Mavic has, of course, been building aerodynamically-advanced cycle wheels for well over a decade and arguably established the factory-built wheel market with the superlight (for the time) Helium climbing model back in the late 1990’s. The French firm is not only venerable but adventurous, with a history of ground-breaking innovation dating right back to, well, the mid 1930’s, when the first aluminium box-section tubular rim, manufactured by Mavic and painted to look like wood, gave 1934 Tour de France winner Antonin Magne what was the fastest average speed over the event recorded at the time. Back then, the Union Cycliste Internationale, governing body for international cycle sport, was more worried about the threat of the recumbent riding position to public interest in cycle road racing and Magne’s rims needed to be disguised only in order to avoid the attention of the Tour’s notoriously attentive officials. The latest wheel design to follow in the illustrious tracks of the Helium, Cosmic and Ksyrium, the Cosmic CXR80 appears not to have got off so lightly and has already fallen foul of the UCI. The wheels themselves join the swelling ranks of those with deep carbon-fibre rims, the cross-sections of which are shaped using computational fluid dynamics (CFD) analysis. CFD, which a decade ago was a young technology at an early stage in its development, today allows the analyst to model in great detail and with wind tunnel-tested accuracy the movement of air molecules around objects in their path. With its help, designers have far surpassed the performance of the most aerodynamic wheels of just a few years ago; the pear-shaped profile adopted by wheel aerodynamics pioneers Zipp and Hed is now obsolete, replaced by profiles such as that of Zipp’s Firecrest that combine exceptionally low drag with excellent stability in crosswinds. Mavic says the CXR80 is the fastest wheel yet and has the figures to prove it, although the same could be said by and of Zipp, ENVE, Bontrager et al. Let’s just say they are all very fast; the variations are such and so small that minute variations in crosswind angle may give one wheel an advantage lost should the wind direction shift a degree further around. What is certain is that the CXR80 relies for some part of its effectiveness on the soft foam circular CX01 Frisbee-like “blades” that clip onto the rim on either side of the tyre sidewall to fill in the indent at that point. This allows Mavic to fair the sides of the tyre into a fat rim and make what amounts to a proper airfoil. The UCI, naturally, doesn’t like it and has said no, leaving triathletes and British time triallists the only two-wheeled competitors able to ride the wheels with their blades fitted. 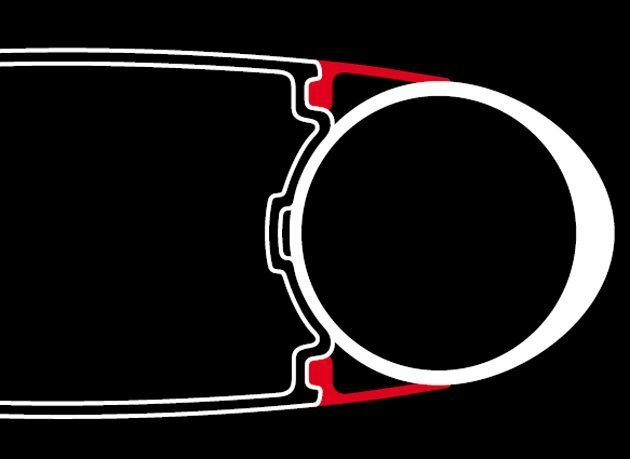 If the blades aren’t in place, there’s an obstructive-looking shelf either side of the tyre that looks like it might seriously impinge on airflow, so the wheels won’t be quite so fast without them. It’s hard to see exactly what the UCI’s objections are, unless it is that the blades are a purely aerodynamic feature. This, of course, has long been the governing body’s favourite beef; nothing that might aid a cyclist’s passage through the air is permitted if that is all it does. It was, of course, the structural element of Francesco Moser’s disc wheels that allowed him to get around the UCI’s ban on wheel coverings back in 1984 and the officials aren’t keen to get caught out again. Then again, that most visually significant of aerodynamic aids is an almost obligatory feature of competition against the clock on both road and track; the long-tailed aero helmet is effectively a head fairing despite the requirement that it now conform to the same standards of impact resistance as regular cycle helmets. Ah, well; everybody wears one, so that that’s alright. Meanwhile, Mavic might like to try making the blades out of balsa wood.